Man, in all his capacities, is too weak to produce the work of regeneration in himself. This is not the birth of a darkened wisdom and an enslaved will. We affect a kind of divinity, and would centre ourselves in our own strength; therefore it is good to be sensible of our own impotency, that God may have the glory of his own grace, and we the comfort of it in a higher principle and higher power than our own. It is not the bare proposal of grace, and the leaving the will to an indifferent posture, balanced between good and evil, undetermined to the one or the other, to incline and determine itself which way seems best to it. Not one will, in the whole rank of believers, left to themselves. The evangelist excepts not one man among them; for as many as received Christ, as many as believed, were the sons of God, who were born; which believers, every one that had this faith as the means, and this sonship as the privilege, were born not of the will of the flesh nor the will of man. God challenges this work as his own, excluding the creature from any share as a cause: Ezek. xxxvi. 25-27, 'I will sprinkle clean water upon you, I will cleanse you, I will give you a new heart, I will put a new spirit into you, I will take away the heart of stone, 1 will give you a heart of flesh, I will put my Spirit into you.' Here I will no less than seven times. Nothing is allowed to man in the production of this work in the least; all that is done by him is the walking in God's statutes by virtue of this principle. The sanctifying principle, the actual sanctification, the reception of it by the creature, the removal of all the obstructions of it, the principle maintaining it, are not in the least here attributed to the will of man. God appropriates all to himself. He does not say he would be man's assistant, as many men do, who tell us only of the assistance of the gospel, as if God in the gospel expected the first motions of the will of man to give him a rise for the acting of his grace. You see here he gives not an inch to the creature. To ascribe the first work, in any part, to the will of man, is to deprive God of half his due, to make him but a partner with his creature. Doct. 1. 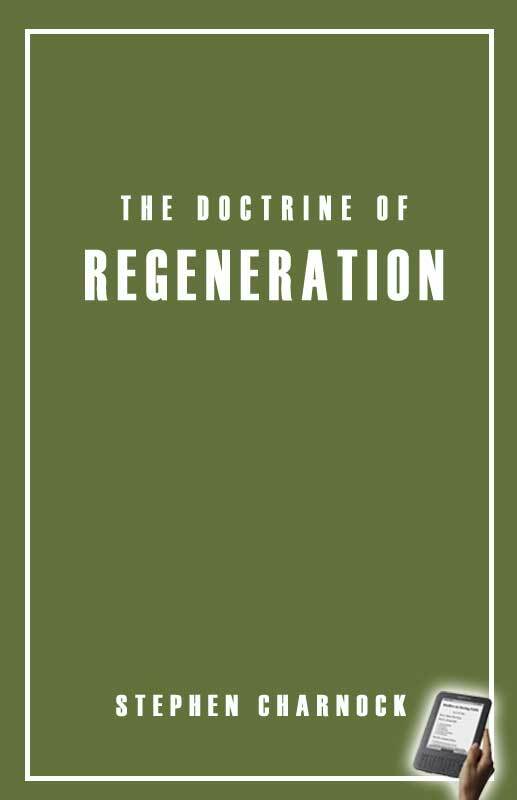 Man, in all his capacities, is too weak to produce the work of regeneration in himself. 2. What kind of impotency or insufficiency is there in the soul to be the cause of this work? I. Let us now see wherein this weakness of our wills to renew ourselves does appear. 1. Man cannot prepare himself for grace. 2. He cannot produce it. 3. He cannot co-operate with God in the first work. 4. He cannot actuate it. 5. He cannot preserve it. II. There is then a liberty of will in man; and some power there is left in man. I. That God is the efficient. II. That it is necessary he should be so. III. From what principles in God it flows. IV. How God does it. V. The use of it.